March 30, 2019, 9 am - 3 pm Handmade Heaven Craft Vendor Event, Holiday Inn & Suites at 3202 E. Empire, Bloomington, IL across from the Airport. November 20, 2018 - Peg's 2019 Nature Photo Calendar Available at Mika's Bistro. Nov 2–Dec 30 - Holiday Treasures Exhibit and Sale at McLean County Art Center. Artist Reception on Thursday, November 15 from 5-8 PM. 601 N. East Street, Bloomington, IL 61701. https://mcac.wildapricot.org. 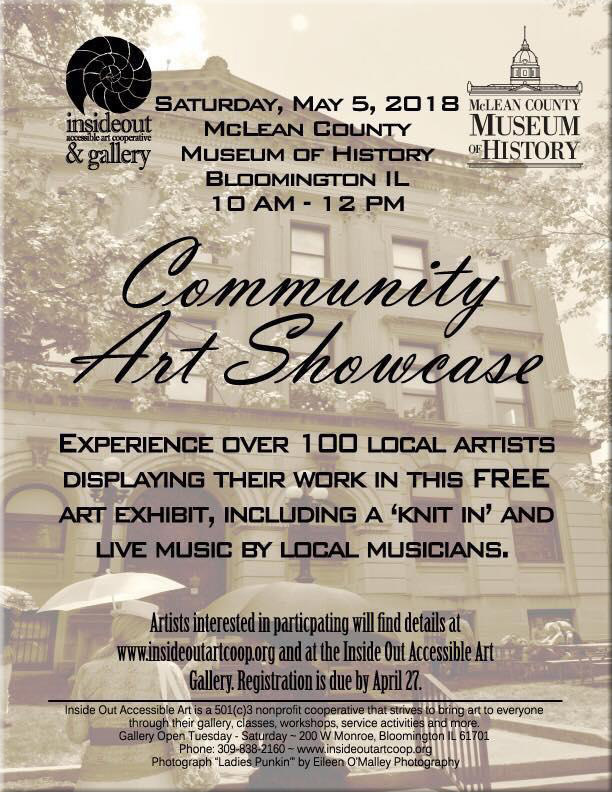 May 5, 2018 - Exhibitor at 2018 Community Art Showcase at McLean County History Museum; Sponsored by Inside Out Accessible Art Cooperative, Bloomington, IL. Mar 2-29, 2018. SEEKING LIGHT / SHEDDING LIGHT Art Exhibition at the Main Library Gallery at 107 NE Monroe, Peoria, IL (309-497-2000) Interpretations of the theme in Mixed Media by Peg Toliver, Debra Risberg, Barbie Perry, Judy Ritchie. 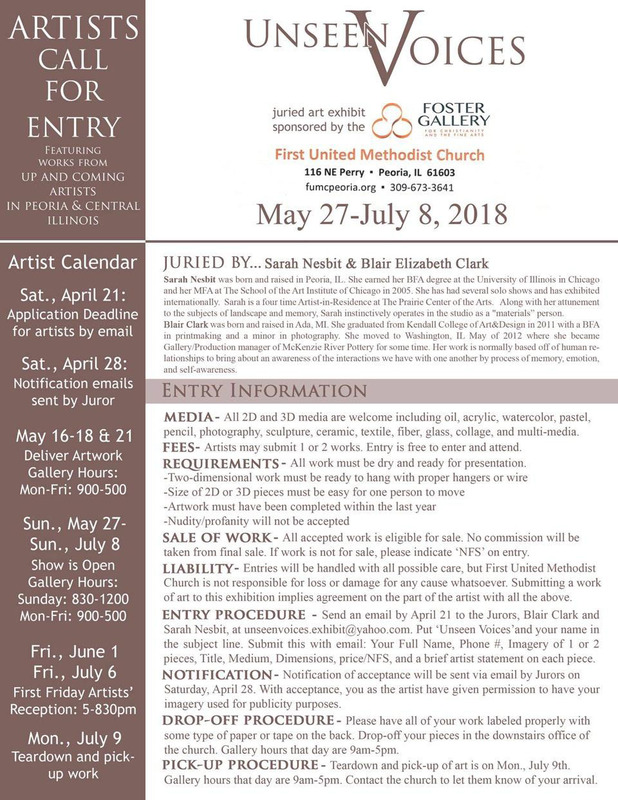 Exhibit Curated by Peg Toliver. November 2017. ELEVATE READING Fundraiser. Peg's 2017 Nature Photo Calendar Available at Mika's Bistro and Eureka Public Library. Your purchase supports accessibility for all with the installation of an elevator at Eureka Public Library. Sept 17 - Nov 12 Sitting Fit: Chair Yoga Class at Eureka Public Library. 8:45–9:30 AM Thursdays. Download Flyer. Download the postcard featuring all three end of 2009 events. Hometown Hand-made Group Gift Show & Book Signing Friday, Dec 4, 4-9 PM and Saturday, Dec 5, 9AM-Noon at The Gathering Place at the Maple Lawn Cottages complex. Bring your friends - download the flyer. Skin Deep\Soul Deep: Reflections on Wounding, Healing and Aging, Art Therapy Exhibit at Peoria Art Guild (February 2008) handmade photo book and silk prayer flags; also led Journaling workshop in conjunction with exhibition.